Join us Monday night, December 3, at 10:10 PST for a very special Scare Guy Show! 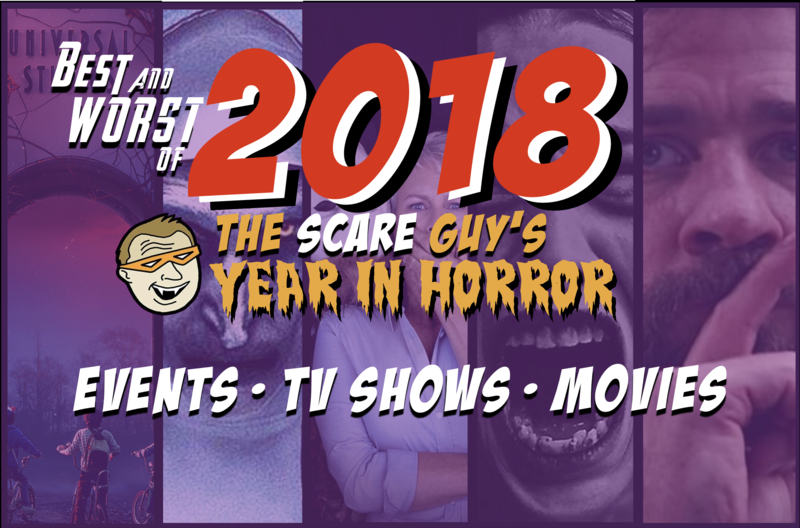 It’s the Scare Guy’s 2018 Horror Year In Review. We give you the good, the bad, and the reeeeeally ugly in the year’s movies, TV shows, and events. Join us LIVE or download and watch (or listen) anytime on iTunes, Spotify, Soundcloud, and of course Youtube. See you Monday!